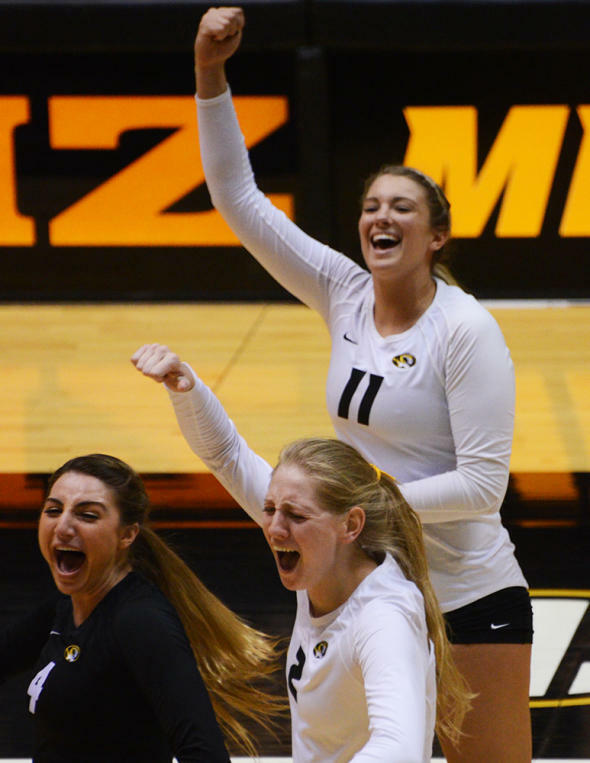 Sarah Meister (left), Emily Thater (bottom) and Regan Peltier celebrate a set won by Mizzou’s volleyball team. The team were Southeastern Conference champions in 2013. 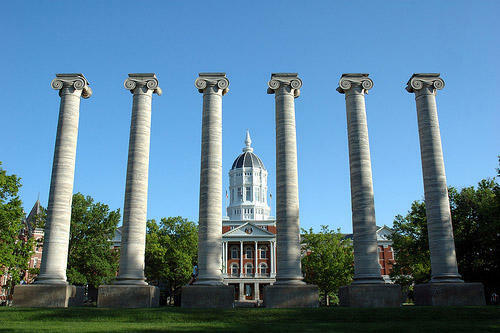 This week, KBIA's Darren Hellwege leads a panel discussion with University of Missouri-Columbia Interim Title IX Coordinator Linda Bennett, Executive Associate Director of Athletics Sarah Reesman and Title IX Investigator Salama Gallimore. Darren and his guests discuss how gender equity works on campus, and how things have changed in recent months. Hear Thinking Out Loud every Tuesday evening at 6:30 on KBIA. Past programs are online. For the latest on Thinking Out Loud you can also follow the program on Twitter and Facebook.